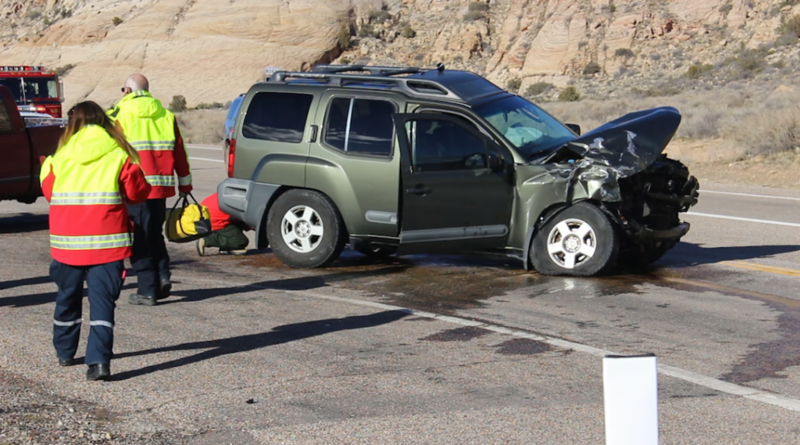 SNOW CANYON — A couple from New Zealand was taken to the hospital after a head-on collision Tuesday afternoon on state Route 18 at the entrance to Snow Canyon State Park. Utah Highway Patrol Sgt. 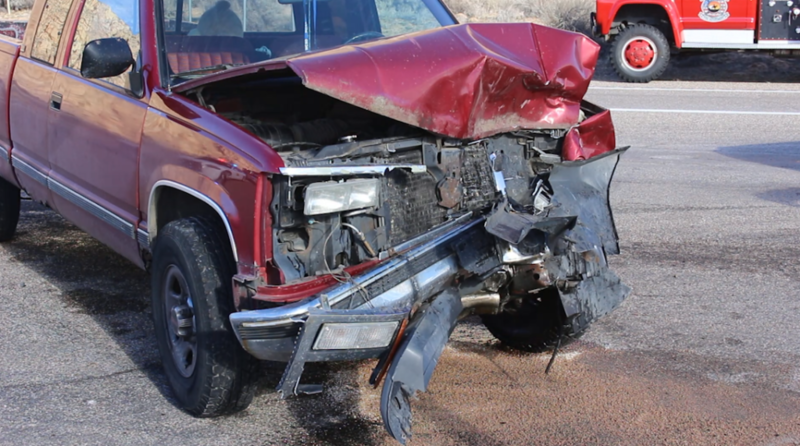 Larry Mower said the couple was northbound just after 3 p.m. on SR-18 preparing to make a left turn into the state park in their rental Nissan when they crept out a little too far and were struck head-on by a southbound Chevy truck. The impact spun the Nissan around. The Chevy truck ended up next to the southwest corner of the intersection and the Nissan came to rest blocking the southbound lane facing southeast. Mower said both the male driver of the Nissan and the female passenger were taken to Dixie Regional Medical Center in St. George by ambulance. The occupants of the truck were checked at the scene by paramedics and released with no injuries. 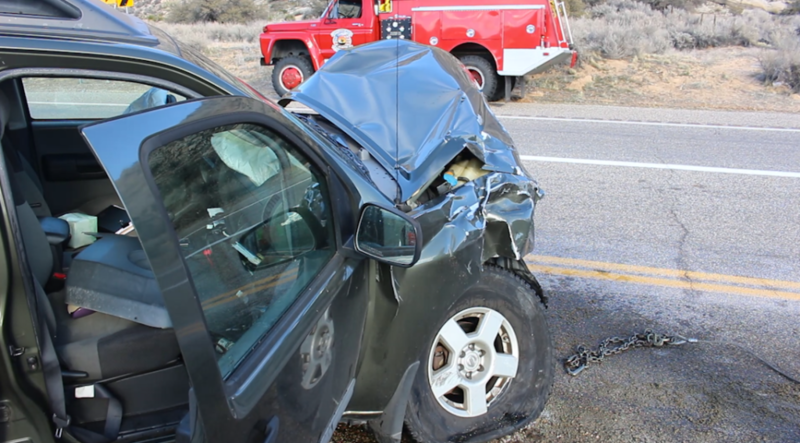 All occupants were wearing seat belts and airbags deployed in the Nissan. The sergeant added that citations were pending at the time of this publication. SR-18 was partially blocked for about 45 minutes while investigation and clean-up crews worked. 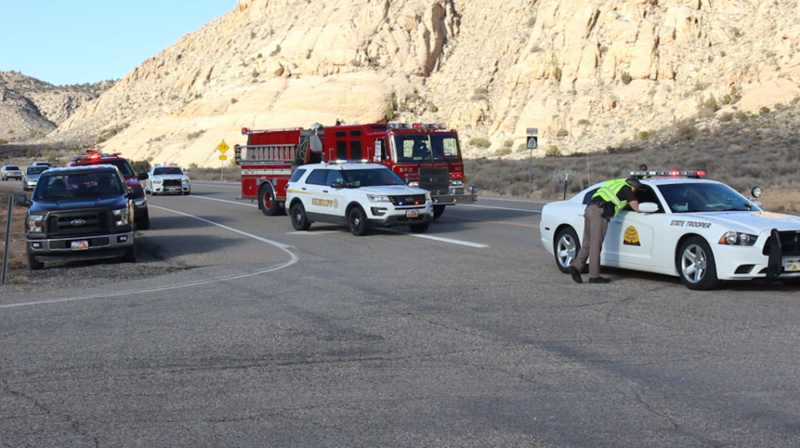 Units from the Utah Highway Patrol, Washington County Sheriff’s Office, Ivins Fire and EMS and Winchester Hills and Dammeron Valley Fire Department responded to the scene. Doesn,t matter what country your from, you know how to stay in your lane before crossing over when the other lane is clear.. But from what I observe people fly on rte 18 especially heading into st George.. Speed limit is too high for that busy road.. The Speed Limit really doesn’t matter as they’re pretty much ignored around here!